Neobanks, like roboadvisors, are still trying to make sense of the wilderness. On the one hand, there are stories of fast, massive success. For example, credit bureau Experian just splashed $275 million on ClearScore, a 3-year old fintech startup with 6 million users that provides a credit tracking dashboard and refers users to financial products. How is this still a market opportunity that banks missed, when Mint.com did personal financial management right in 2007 (and sold for $170 million) and Credit Karma, an American version of the same, has 70 million users and a reported $500 million in revenues? Or, as another example, Smart Asset, which offers financial calculators that help people decide whether to rent or buy, has 35 million monthly users. Other examples of clearly working neobanks are Revolut and Transferwise, each with over a million users benefiting from reduced pricing on international money transfers. We are being loose with definitions on purpose. Anything digital- or mobile-first, customer centric, and related to personal finance and depository or lending products looks like a neobank in our book. This is because banks are supposed to help us with these functions. They are supposed to help people save for the future, have convenient access to their money, and pay quickly and easily. And instead, most banks are either buying fintech companies that manage to grab a large chunk of digital users, or are investing so much into challengers as to effectively own them. See for example, Atom Bank's £149 million round, where BBVA will own 40% of the company. 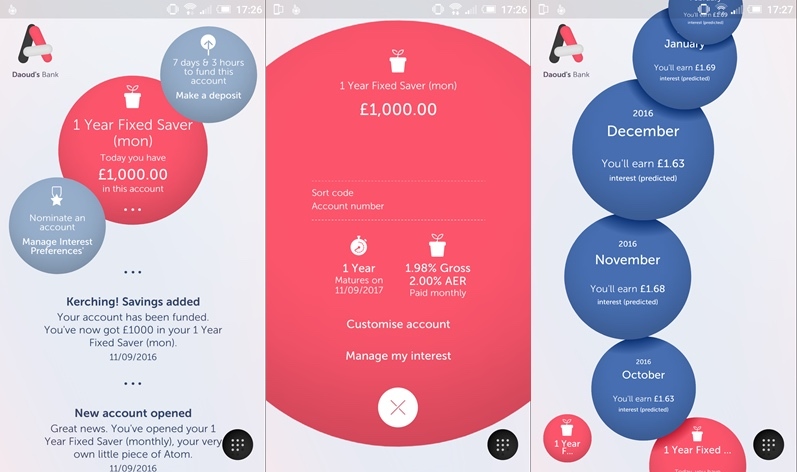 Atom's got a loan book of about £1.3 billion -- does the financing makes sense on its own merits, or does it make sense when you apply Atom's customer experience across the entire BBVA footprint? But something is off about the story. We know that the first round of neobanks -- Simple (also acquired by BBVA) and Brett King's Moven didn't really work out. Some, like Seed, are now focused on providing online account opening solutions to existing banks. This is the identical pivot we saw in digital wealth management, as roboadvisors turned into workflow automation tools for financial advisors. So what's the trick that makes some neobanks and PFMs worth hundreds of millions with massive traction, while others scrape at building a software-as-a-service business? The answer lies in how clearly and quickly value accrues to the user. Credit tracking solves an immediate problem somebody is having, costs nothing, and has an engagement model. Cheap international transfers are instantly actionable, and immediately deliver value over what a traditional bank charges. SoFi's student loans sell themselves, reducing student obligations by thousands of dollars on sign-up. Building a pipe big enough that prospects know you exist is where the $100 million in venture capital has to come in, but then the product can have a positive viral loop. That's different from trying to sell an undifferentiated mortgage, or checking account, or retirement 40 years in the future. The benefits of such financial products are outweighed by the pain of having to interact with them. The questions to ask are: how much demand is there for this thing today, how bad is the current experience, and does your customer know the experience to be bad?